Yesterday, April 12th, Ad Society was lucky enough to listen to speakers from Instagram and Facebook. On top of that, we held our Executive Board elections where members had the opportunity to vote on candidates that will be leading our organization in the upcoming year. This was a great way to end another year as an Ad Society member. If you missed out, keep reading to learn more about the speakers and our new e-board team. 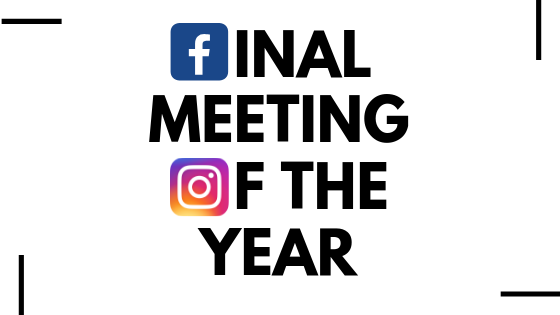 For our last meeting, we were lucky enough to have visitors from Instagram and Facebook to speak to us this week. Ryan Biega, Carolina Iglesias and Cat Audi spoke on their experiences that led them to their current careers and on the product design discipline. Cat and Carolina are both University of Florida advertising alumni and are now product designers for Instagram. Ryan graduated from UC Berkley with a BA in Art History and is currently a design recruiter for Facebook. Product Design is a relatively new discipline that has high-demand. Positions under the realm of product design are not only exclusive to tech companies, but ad agencies are also beginning to hire them as well. Product design deals with the technology that we use every day and has the opportunity to change facets of our lives, big or small. For example, Caro and Cat presented a way to easily share your Instagram handle. Research had shown that many people had a lot of miscommunication when exchanging usernames to follow each other. Therefore, a lot of research and trials had been done to create a barcode for Instagram that is customizable and facilitates the process of the following someone. If you’re interested in this career, don’t worry — Ryan mentioned that this is such a new discipline that many people being hired are actually self-taught. Only 6 universities in the U.S. have programs specifically geared to product design, but there are many resources online that can help you get a kick start on your training. On to our new executive board. The positions needed to fill were President, Vice President of Internal, Vice President of External, and Vice President of Finance. We had a number of prominent Ad Society members run for these positions at our last meeting. Each candidate recited a short speech, along with a presentation explaining why they wanted a certain position. Every member attending the meeting got to vote on who they wanted for each position. We know this team will Ad Society to victory in the coming school year. Congratulations to our newly elected e-board: Alexa Padron running a second term as our President, Alex Mckenzie as Vice President of External, Virginia Gil as Vice President of Internal, and Chester Etienne as Vice President of Finance!